The blade can be fixed in both positions. 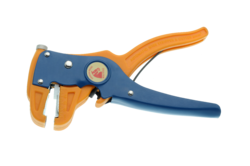 Our name is counted amongst leading and prominent companies for offering a wide range of Cable Strippers. 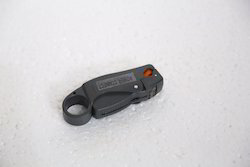 These Cable Strippers are available with us in various sizes and known for their sharpness. The Cable Strippers we offer are safe to use and used in electrical and various other applications. Being one of the reckoned enterprises in the market, we are highly affianced in offering an optimal class gamut of Combo Stripper to our patrons. The Miller Stripper is an exceptional tool recommended for stripping 250µm coated fiber and 900µm buffer tube. The Miller Stripper has a .0055 (0.14mm) laser drilled hole, soft plastic-cushioned handle grip, and super accurate hardened stripping jaws, ensuring smooth clean stripping action.